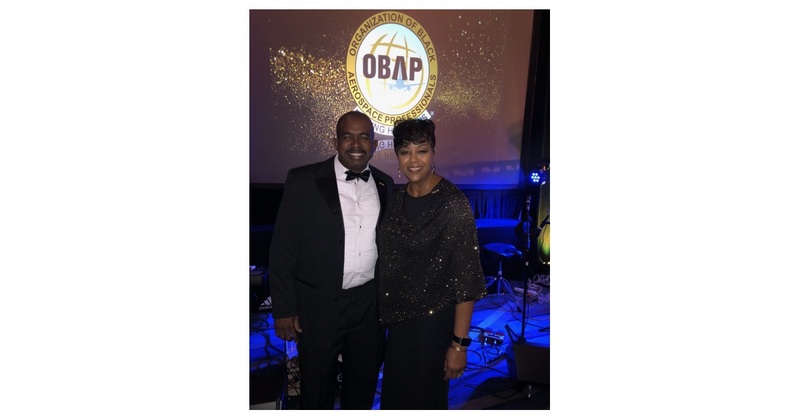 FORT LAUDERDALE, Fla.–(BUSINESS WIRE)–The Organization of Black Aerospace Professionals (OBAP) recently presented Silver Airways’ Andrew Nicholson with the prestigious American Airlines Black Airline Scholarship Award during OBAP’s annual gala and awards ceremony, which took place August 17, 2018, in Houston, Texas. Nicholson was selected and recognized for his well-balanced aviation acumen and leadership ability. OBAP is dedicated to supporting increased interest and placement in aviation and aerospace careers and awards scholarships to offset the costs for aviation-related programs and to further train aspiring aviation professionals. Nicholson is planning to apply his scholarship to further his pursuit of his pilot instrument rating and license. In addition, he seeks to become a specialist in the advancement of air travel options throughout Latin America and the Caribbean, and aspires to enhance the infrastructure of aviation within the region. His ultimate goal is to eventually play a key role in aircraft marketing, sales and business development throughout the world. “We are proud of and congratulate Dru on receiving this well-deserved and hard-earned scholarship, which is a true testament to his continuous drive to positively advance not only Silver Airways, but the industry as a whole,” said Silver Airways CEO Steve Rossum. Nicholson joined Silver Airways in 2015 as a technical writer and today serves as a safety specialist for the airline. He earned his Bachelor of Science in Airline Management and a Master of Science in Aeronautics from Embry-Riddle Aeronautical University. He founded and was president of the Student National Business Aviation Association (NBAA), now the National Business Aviation Association Official Student Group, and earned three scholarships from the NBAA and WCA in recognition of this effort. Nicholson went on to serve as a marketing specialist at Jet Aviation, a sales executive at Fly UJET, and a technical writer at Spirit Airlines before joining Silver Airways. Silver Airways operates the most routes within Florida and between Florida and the Bahamas from its hubs in Fort Lauderdale, Orlando, and Tampa, and also this year acquired Seaborne Airlines with flights in Puerto Rico, the Virgin Islands and the Caribbean. Silver is a codeshare partner with United, JetBlue and Avianca, and has interline agreements with American, Delta, Air Canada, Alaska Airlines, All Nippon Airways, Bahamasair, Hahn Air and Azul. Silver operates a fleet of highly-reliable Saab 340 aircraft, and starting in 2018, Silver is renewing and expanding its fleet with up to 50 new eco-friendly ATR-600s. Silver is honored to be the North American launch customer for the all new, redesigned ATR-600 offering best-in-class quiet cabins, premium leather seats with more legroom, and spacious overhead bins that accommodate full-size, carry-on roller bags. Silver is owned by affiliates of Philadelphia-based investment firm Versa Capital Management, LLC. To learn more about the refined passenger experience coming soon to Silver, visit www.silverairways.com/destinations/atr42.